The name Quanah Parker is a relatively famous one in the Southwest, as he was the last chief of the Comanche tribe and surrendered in the fight against white people seeking to overtake their land. Told with the right care and skill, his story has the potential to be strong and inspiring. 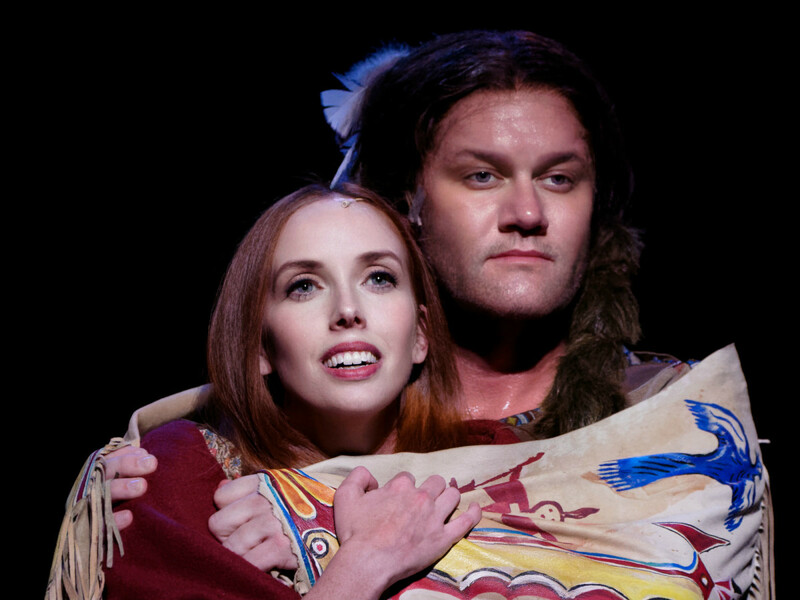 That, however, is not the case with Lyric Stage’s world premiere musical, Quanah. 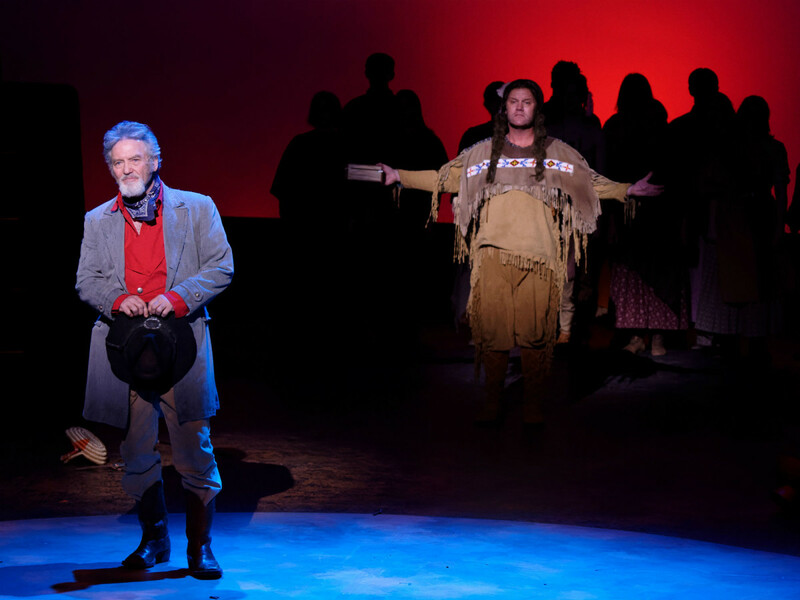 Written by Grammy Award-winning country musician Larry Gatlin, the production takes the curious position of telling Quanah’s story mostly without Quanah in it. 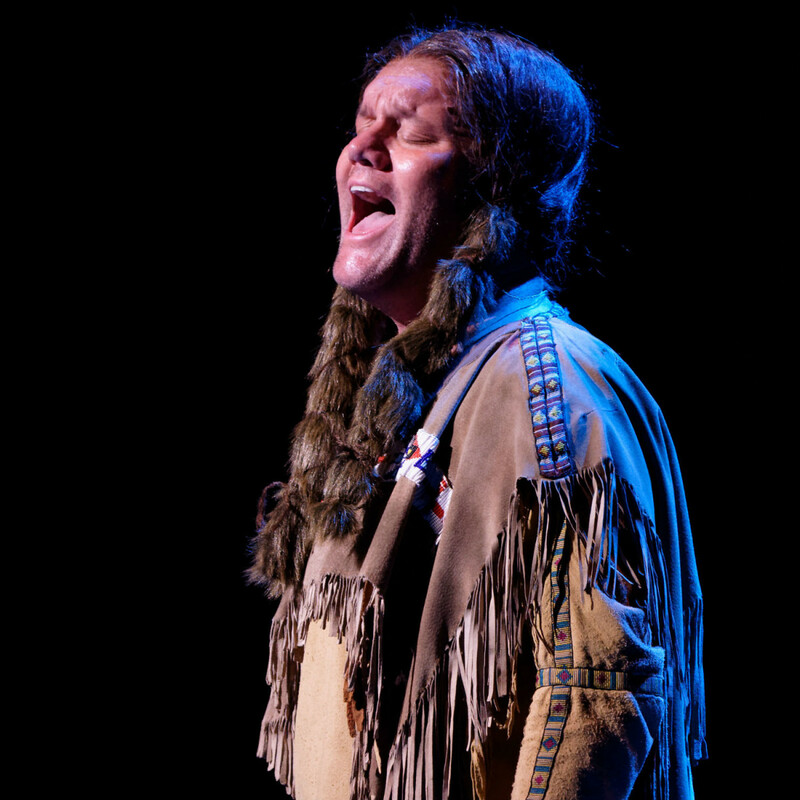 To be sure, how Quanah came to exist is an interesting tale unto itself, with his mother, Cynthia Ann Parker (played by Daron Cockerell), being abducted at a young age in a raid by the Comanches. 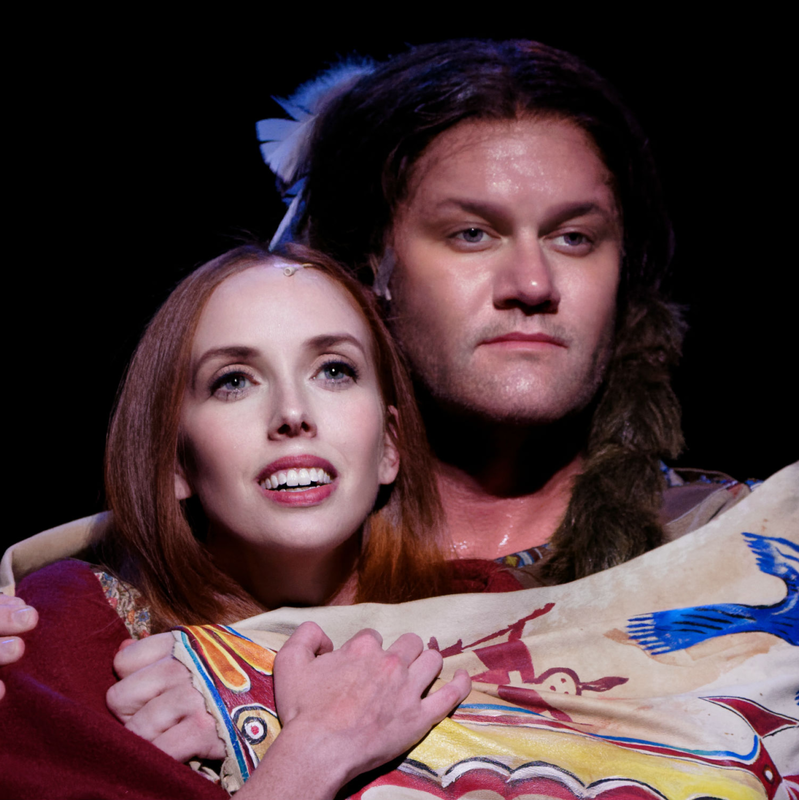 She would grow up as part of the tribe, adopting the name Nauda and eventually having three children with Chief Peta Nocana (David Phelps), one of whom was Quanah (played by three actors, including Phelps, at various ages). 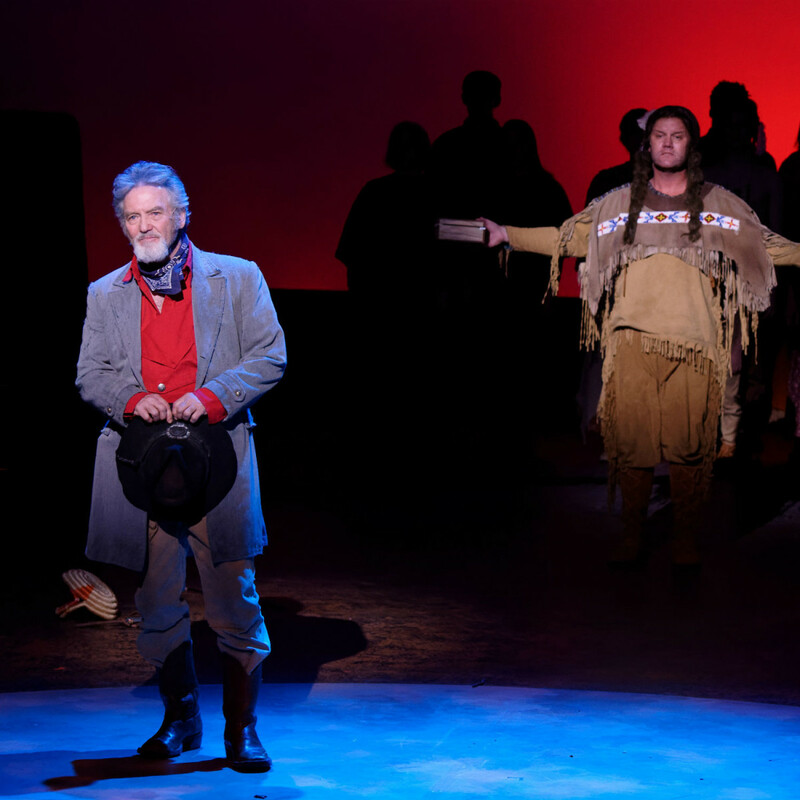 The first act is devoted almost entirely to telling this part of the story, taking time to show the lives of the original Parker family, the Comanche tribe, and even the Texas Rangers who tried to find and rescue Cynthia Ann (their task inspired the John Wayne film The Searchers). It’s not until the second act that the adult Quanah gets any kind of showcase, and even then it’s in very truncated form. The first obvious issue with the production is the casting of Phelps in the dual Native American roles, not to mention the supporting roles being filled by non-Native American people. Phelps' talent is undeniable, but in a time when whitewashing is a hot-button issue on multiple platforms, it would have been wise to find actors more culturally suited to the roles. Phelps and Gatlin have a working relationship that goes back at least to 1998, so perhaps Gatlin was blinded by his personal feelings for Phelps rather than understanding the optics of a white man playing a non-white role. As the musical stands, it’s never entirely clear what the focus of Quanah should be. Gatlin, who also serves as the narrator, skims along the surface of the story, but can’t seem to ever dig into any part of it to make it truly compelling. It’s evident that he wants to touch on as many aspects of the tale that he can, but in so doing, he succeeds only in not telling any of them very well. The story is told almost entirely through Gatlin’s songs, ones that stand out for the wrong reasons. Many of them are repetitive to the point of dullness, with simplistic lyrics and melodies that fail to rouse. 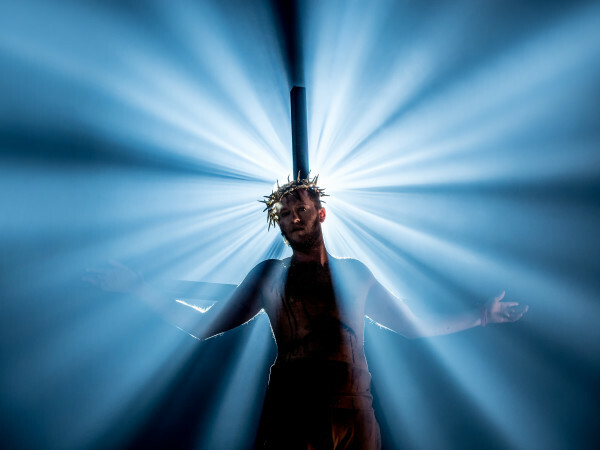 The staging by director/choreographer John de los Santos doesn’t help, as the majority of songs have the actors merely standing in one spot and belting the tunes out, removing any theatricality from the musical. 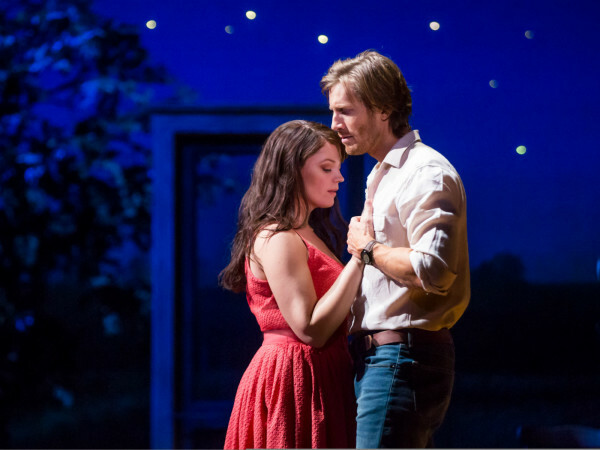 Quanah’s one saving grace is the singing talent of Cockerell and especially Phelps. Cockerell is a familiar face for Dallas-Fort Worth theater fans, and, as she always does, she brings her all to her role. Phelps, whose background is in Christian music, has an unbelievably powerful voice, and he booms through every song he’s given. Whatever the songs themselves lack, the force of Phelps’ voice makes the audience sit up and pay attention, and perhaps even shed a tear or two. Quanah is a passion project for Gatlin, one he’s been trying to see to fruition for some 30 years. 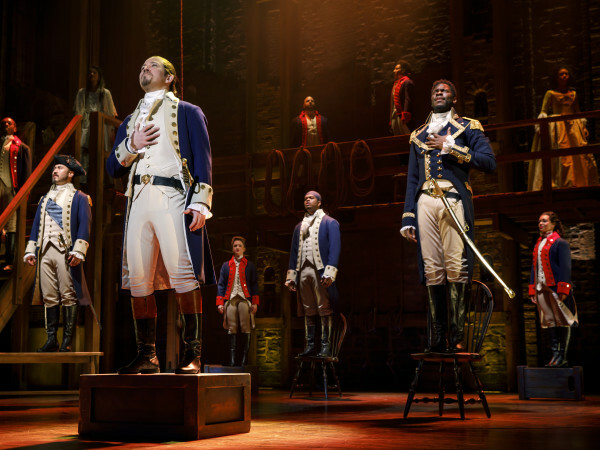 While one can applaud the tenacity and effort it took to actually make the musical happen, the result is just not enough to satisfy or recommend. 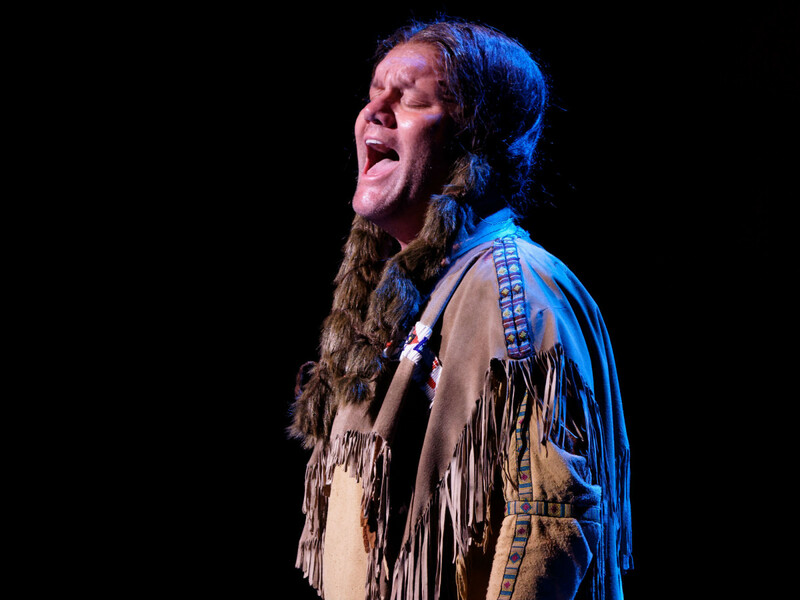 Lyric Stage's production of Quanah runs through May 7 at the Irving Arts Center.